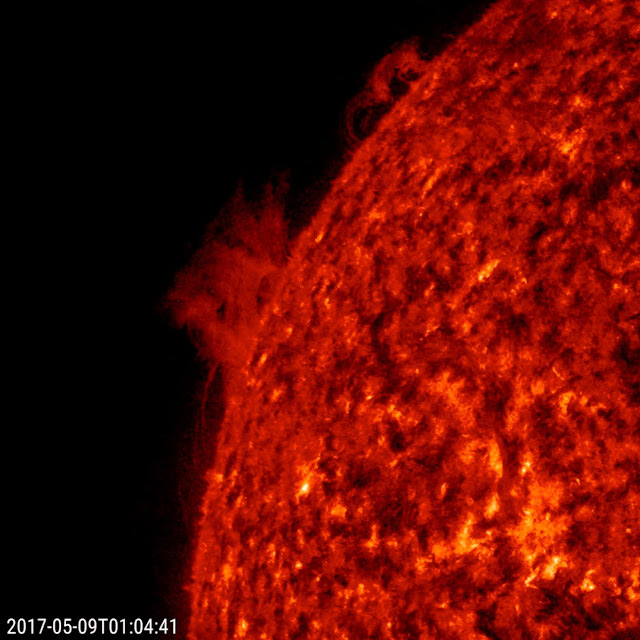 At the edge of the sun, a large prominence and a small prominence began to shift, turn and fall apart in less than one day (May 8-9, 2017). Prominences are notoriously unstable. Competing magnetic forces pulled the plasma back and forth until they dissipated. This image was taken in a wavelength of extreme ultraviolet light.